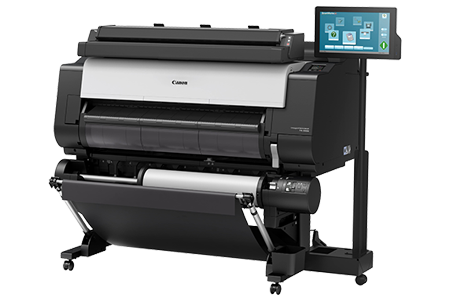 MALAYSIA, 28 FEBRUARY 2017 – Canon Marketing (Malaysia), the leading imaging products and solutions provider, today introduced a slew of professional printers to benefit users across all industries. The imagePROGRAF TX flagship series, imagePROGRAF PRO-560, together with the imagePROGRAF iPF671Me and iPF771Me are designed to deliver outstanding technical print documents and workplace productivity in order to fulfill customers' demands efficiently. 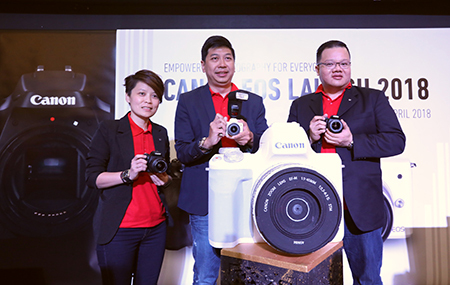 Andrew Koh, President and Chief Executive Officer of Canon Marketing (Malaysia) said "As experts in the imaging industry, we understand that every business deciphers efficiency differently. In order to deliver solutions that add value to our customers businesses, we are constantly at the forefront of evolving in terms of innovation in technology and provision of imaging solutions." Albert Mah, Head of the Professional Printing Products (PPP) Division for Canon Marketing (Malaysia), explained that the new printers were designed to set the highest standards in the large format print segment, and will benefit businesses across all industries. "The market to produce high print quality documents are growing, and Canon is here to keep-up with the ever-growing demands of customers by providing new levels of quality and production," he said. The new imagePROGRAF TX series comprises the following five-colour system models - imagePROGRAF TX-5300, TX-5300 MFP T36, TX-5400 and TX-5400 MFP T36. Equipped with cutting-edge print technologies to deliver impeccable professional and technical prints swiftly for higher productivity, the Canon imagePROGRAF TX Series sets the highest standards in the large format print segment and will benefit users across industries where high resolution technical documents are essential. The L-COA PRO processing chips forms a high-precision control engine that performs the processing of massive image data, generates the printing data, and controls optimal ink layout. 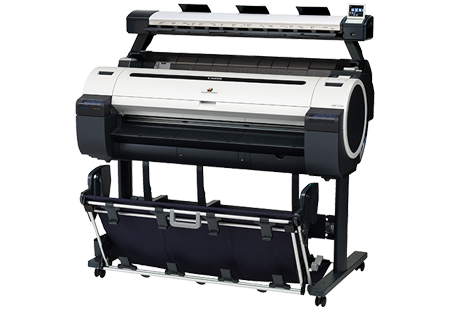 The imagePROGRAF TX-5300 (36" model) is equipped with two rolls while the TX-5400 (44" inch model) has an optional second roll unit. This dual-roll system enables high-volume printing from two rolls of the same kind, and hassle-free switching between different media types to meet various printing needs. The newly developed five-colour LUCIA TD ink produces fine lines, sharp text, and vibrant colours even on plain paper. These qualities are essential for high-precision computer-aided design (CAD) drawings and posters. Formulated for resistance to conditions such as moisture and heat, printed drawings can be placed for long term storage, for viewing at outdoor construction or engineering sites, or as outdoor posters. The imagePROGRAF PRO-560 expands the PRO Series models, the largest 12-colour ink system professional photo and fine art inkjet printer that offers photo printing with a multifunctional roll system for excellent productivity that is capable of printing on media between 17 inches to 60 inches wide with consistently high print quality. Designed to meet the needs of photo professionals and graphic artists, the imagePROGRAF PRO-560 printer provides users with Canon's input-to-output photo printing support, known as Crystal-fidelity. The imagePROGRAF PRO-560 enables the full clarity and texture of photographs taken with a Canon EOS camera to be perfectly reproduced. This feature-rich professional printer complements Canon's professional line of DSLR cameras and red-line L-series lenses for an ideal pairing that accentuates high quality images rich in detail when reproduced on a variety of media, creating images that look as close to the real scene, as when they were captured. With an ergonomic compact design with a small footprint of 1999mm (about 13% reduction from its predecessor model), the imagePROGRAF PRO-560 is ideal for print operations with space constraints. 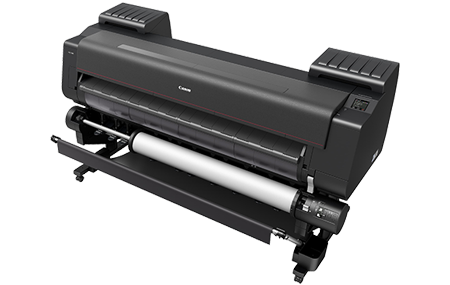 The new large-format multifunction inkjet printers (MFPs) comes equipped with five-colour dye and pigment reactive ink systems, on top of the addition of a scanner component allows effortless copying and scanning of documents in colour without requiring the use of a PC. With the combination of compact, lightweight removable scanners with printers, the new MFPs enables all operations to be performed within the printer itself. The MFPs are at 24 and 36 inches wide respectively. This compact design offers a wide degree of flexibility when installed in environments with limited space, such as offices at construction sites and retail environments. Designed with a new touch-panel color LCD and an intuitive user interface, users can effortlessly copy large-format documents in color with a simple push of the button on the integrated control panels, saving the hassle of going through a PC. The printers enable professionals working on location at construction, civil engineering, manufacturing and other work sites to easily make copies of CAD drawings, as well as digitise drawings which has handwritten edits for efficient information sharing between relevant parties. In addition, both MFPs are also capable of delivering an A1 output for CAD drawings, in 28 seconds on fast economy mode. When connected to a network, the new imagePROGRAF MFPs can efficiently process scanned data and continuously copy multi-page manuscripts with ease through the dedicated PC utility software, ScanAppLe. The new imagePROGRAF TX flagship series, imagePROGRAF PRO-560, together with the imagePROGRAF iPF671Me and iPF771Me are now available at authorised Canon distributors and dealers. Canon is a global leader in photographic and digital imaging solutions. Canon Marketing (Malaysia) Sdn Bhd was established since 1987 to deliver products and services support to Malaysian users directly and through its nationwide of channel partners. Growing from strength to strength, Canon Marketing Malaysia will be celebrating its 30th year anniversary in 2017. The parent company Canon Inc. has a global network of more than 300 companies and employs close to 200,000 people worldwide. It is dedicated to the advancement in technology and innovation and commits more than 8% of its total revenue each year to R&D. Canon is ranked first among Japanese companies and consistently one of the top few companies to earn the most number of U.S. patents over the last 12 years. As a Fortune Global 500 company, Canon is guided by its kyosei philosophy that focuses on living and working together for the common good. More information is available at www.canon.com.my.